A movie that many of us saw when we were younger and that opened up much love in strange and mystical worlds was Jim Henson's The Dark Crystal. 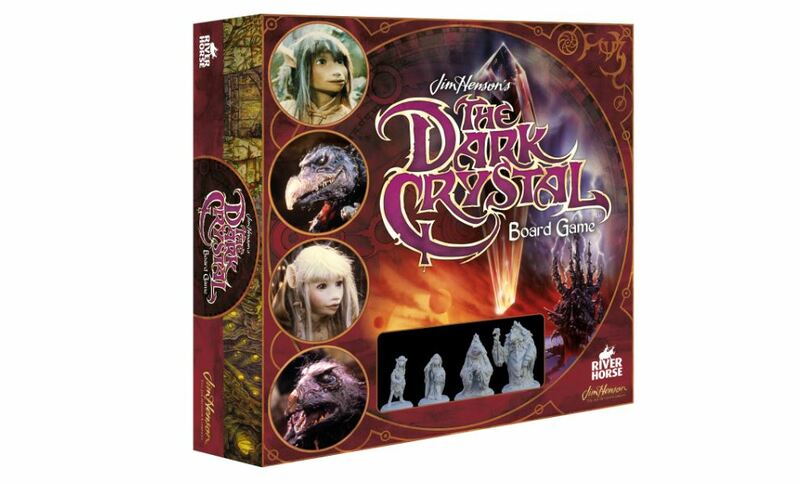 Guide Jen and Kira past the ruthless Skeksis in order to restore the Dark Crystal with the lost shard. 2 Gelflings – Jen and Kira (with Fizzgig!). • Rules booklet – 24 pages. • 2? × 2? 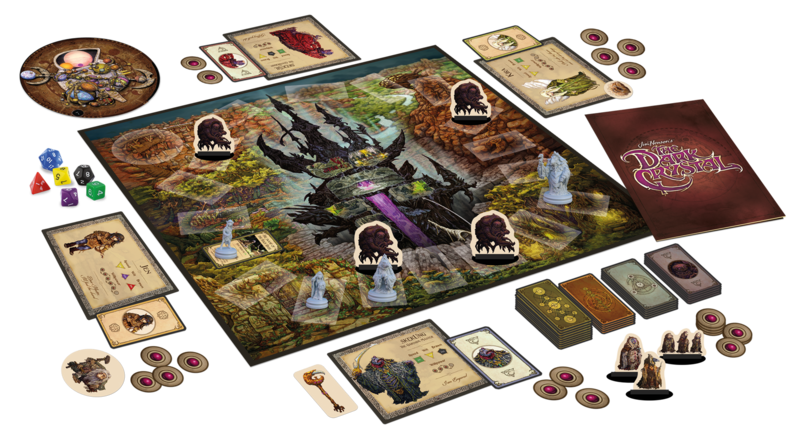 game board – lavishly illustrated with inspiring new artwork featuring all the legendary places from the movie, including Aughra’s Observatory, the Valley of the Stones and the Crystal Castle. • 25 World cards, 9 Mystic cards, 7 Skeksis cards and 15 Minion cards. • Over 20 game tokens. • 6 polyhedral dice (D4, D6, D8, D10, D12, D20). • 4 character sheets and 4 Special Ability cards. • 1 Orrery turn track (top and bottom, with plastic connector).